Illyria 2 is ideal for medium size meeting up to 100 people in theater style. 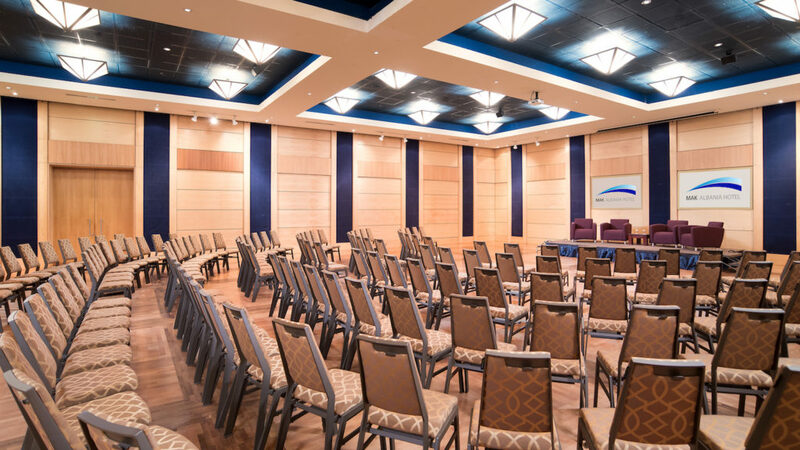 Illyria II is ideal for medium size meeting up to 100 people in theater style. Mainly used for press conferences and meetings it can also serve for small dinners for 60 people. For its size, 150 m2, and location this room is one of the most demanded one for medium size events. Surrounded by green and flowers, right next to the national park of Tirana our Terrace of 565 m2 is perfect for anniversary ceremonies and cocktails. Its multipurpose use lists birthday cocktails, Farwell parties, wedding welcome ceremony and ring exchange.